BC Sailing has scheduled another Safety at Sea class for early 2015 at the West Vancouver Yacht Club. The dates are Sunday-Monday January 11-12. 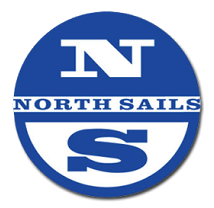 This course is Sail Canada – ISAF Approved. As a preference to events that have Safety at Sea training requirements, advance registration is available now to crews of boats that are sailing in the 2015 Oregon Offshore and 2015 Van Isle 360 races. The January 9-10 class is now full. General registration for these classes will open to the public on Wednesday December 17. Additional class dates may be added, if demand warrants. Thank you all for your feedback regarding next year's race and safety requirements. We have received some requests recently to know what the dates will be for the 2015 race. CYC has not confirmed the dates yet, but plans to post that information on this site in November or December. As for the Safety at Sea requirement, we have still not finalized the requirement, but it will be similar to PIYA's recommended wording. We have confirmed we will be accepting certificates approved by BC Sailing, Sail Canada, the UK's Royal Yachting Association, and other national or international authorities comparable to US Sailing. Stay tuned to this site for more updates about the 2015 race. If you would like updates sent to your email address, click on the "Subscribe to" link at the top of the right column. Safety At Sea Required in 2015! It's a few months until next year's race, but with some of the new safety requirements, you'd better get started early. In 2015, we will require at least 2 people or at least 30% of all people on each boat (whichever is greater) to have been certified by a US Sailing sanctioned Safety at Sea event. It gets worse... The only seminars scheduled on the West Coast before next May are in October 2014 in San Francisco. You'd better get planning if you want to get this taken care of without flying to Maryland next spring. The Washington coast can be rather inhospitable. We hope folks are able to plan to attend this course early enough that this won't reduce their desire or ability to race, and we are certain this will increase safety and preparedness among those who do. For a list of seminars available between now and the race, click here. The Pac-Cup Singlehanders started racing today, and the rest will start in a few days. Also starting this week is the Vic-Maui! Both races have multiple boats racing who have participated recently in the Oregon Offshore race. To download the Pac-Cup tracker, go to this site. Two of this year's Offshore participants will be racing Santa Cruz 27s double-handed (Kaos and Blade Runner-this year's PHRF First Overall). We'll also be tracking California Girl and Free Bowl of Soup, and we think you should, too. You can track Turnagain, Kinetic, Passepartout, and Avalon in the Vic-Maui race here. Of racing sailboats offshore in Oregon I mean? Well, here is your chance to do it again, to the south this time! WHY: Here is your chance to sail the original route of the first Oregon Offshore races! Race south from Astoria to Newport Oregon through 100 miles of sunshine, blue skies and the most beautiful coastline on the West Coast. Racers will travel from the mouth of the Columbia to the mouth of the Yaquina in Newport, Oregon. The race is handicapped at just under 100 miles and is usually a starlit overnight race. The elapsed time record is held by Dave French's Olson 30 “Grins” at 10 hours and 45 minutes! 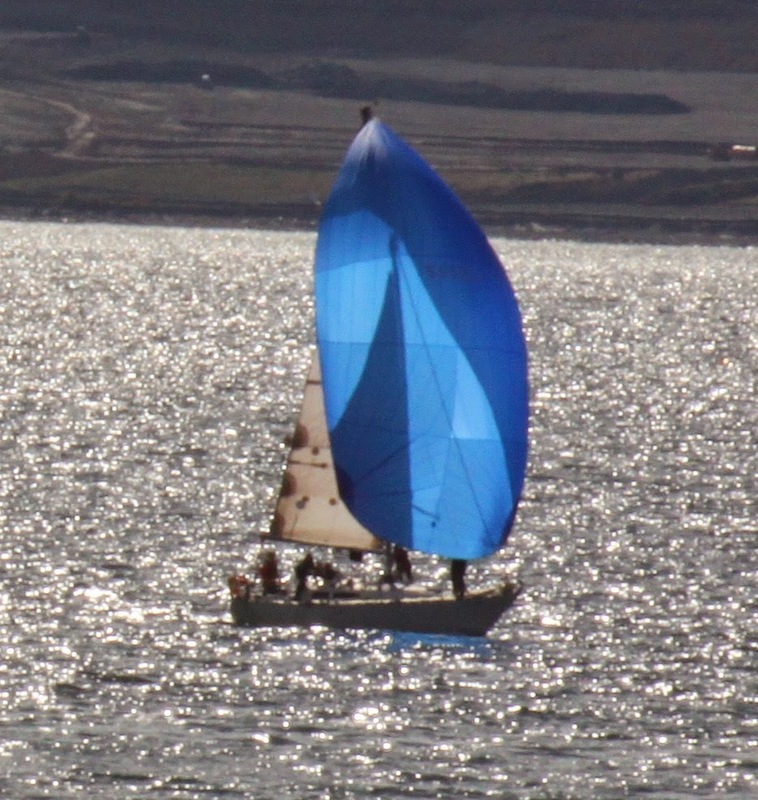 This Northwest version of the Ensenada Race is a PIYA Category 1 offshore race. Plan a stay in Newport and explore the fabulous central Oregon coast, or get together with your fellow competitors and race back to Astoria. Oregon Offshore Race - Bag delivery to Sitka Shop Victoria from Truce Designs on Vimeo. The Men's shirts feature the Oregon Offshore logo on the left breast and the 2014 Oregon Offshore graphic on the back. The ladies' tank features the graphic on the front. Contact membership@cycportland.org to place an order. "Velocity is the rate of change of the position of an object, equivalent to a specification of its speed and direction of motion." 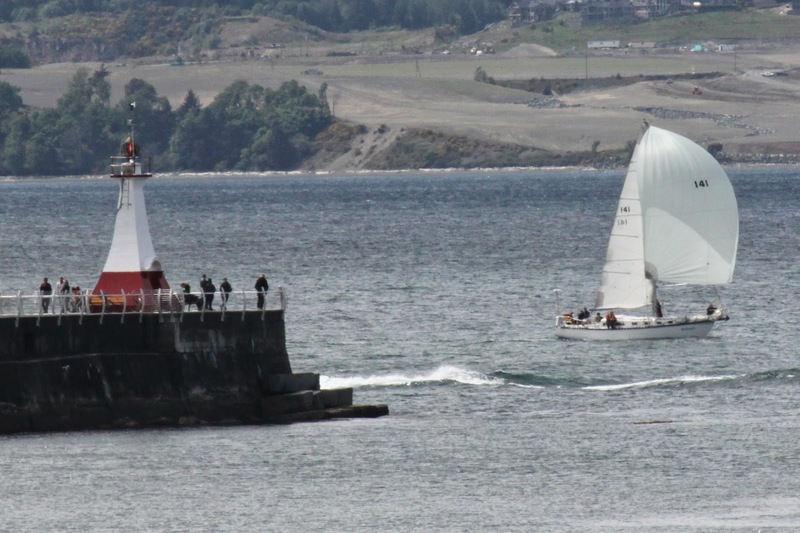 Lots of boats came a long way to do this race this year; Tom Keffer brought his J-42 "Velocity" and crew to this year's 38th Annual CYC Oregon Offshore sailing race all the way from Hood River, Oregon. If you think it was windy on this race, go to Hood River someday, preferably with your kiteboard... Great video Velocity, you certainly lived up to your name. Make sure to watch this video to the very end, I love the universal sailors' post-race, onboard celebration... classic! Well-deserved, Velocity! A couple days ago, we posted an advance weather report from the day before this year's race. Well, we've now received some very detailed data from one of our competitors, Steve Smolinske of the Catalina 38 Peregrine, and we're posting for all to see the true wind speeds (red) and the boat speeds (blue) that Peregrine experienced throughout this year's very short race. This is another great onboard clip from this year's 38th Annual CYC Oregon Offshore sailing race, courtesy of the J/105 Free Bowl of Soup, PHRF Class B Winner and 2nd Overall in PHRF Class this year. I love how these guys give us a variety of camera angles in this clip, including an underwater view at 1:43 minutes in. Thanks guys! It's a little like watching sailing sausage being made, it may not always be pretty but the end results are great! Documented boat speeds on this video exceed 13+ knots at times... The top speed reported by Soup through the water was 16.5; speed over ground 17.4. Nothing like a hot Soup on a cold day! Here's a quote from Co-captain Doug Schenk about the race: "Good times; well, actually epic times." Free Bowl of Soup 2014 Oregon Offshore from Shortcake Photography on Vimeo. AFTERNOON. THE SMALL CRAFT ADVISORY FOR WINDS HAS BEEN CANCELLED. There are so many great stories from this year's Oregon Offshore that it's hard to settle on what was actually the best part of the race. Sailing Anarchy is a great, no bull, sailing website for sailors worldwide - particularly racers - and always tells it like it is. They just posted a great article about Oregon Offshore, deservedly featuring Ward Naviaux's Santa Cruz 27 & Overall PHRF Corrected time winner in this year's 38th Annual CYC Oregon Offshore race. Great job again Blade Runner; you deserve all the ink you can get for this victory! Maybe we'll draw some SoCal boats up to the NW for next year's race... And with the new IRC Class established in this year's race, it's a strong possibility. Here's a 10 minute video onboard Timm & Victoria Lessley's Cal 40 California Girl, PHRF Class C Winner, racing in the 2014 Oregon Offshore. Some great driving is exhibited in this video, watch the bow follow the wave pattern like a symphony in motion. She rides nicely in the short, deep wave troughs. Notice everyone onboard is harnessed up? Safety first! Here's a clip of the Santa Cruz 70 Neptune's Car breaking 21+ knots of boatspeed on their way to a record breaking finish... Fast is definitely Fun! The "Wizard" Bill Lee pumped some pretty nice designs out of that chicken coop in Santa Cruz... Here's a cool video courtesy of Santa Cruz Race Week about the man behind the Santa Cruz 27 & 70. Check it out! I love the dramatic music! Thanks again to Captain Mike Cassinelli and crew aboard the Coho Sally for their support of the Oregon Offshore; if you ever fish out of Ilwaco, look up captain Mike. He's a pro! Free Bowl of Soup, courtesy of Maria Swearingen; again, love the music! We didn't want to tell anyone about this, knowing that the crew of Tabu quickly recovered, but the photo leaked. Maybe they are doing yoga or some sort of new Danish hiking technique?!? All kidding aside, powerful pic. This was just before the start near the Columbia River Bar; now you know why harnesses and jack lines are required on this race. Check out these Facebook entries by photographer Maria Swearingen. Maria was out with us on the start boat and it was REALLY difficult to get clear shots of the race; great effort Maria! Check it out! Great write up with photos; thanks Pressure Drop! 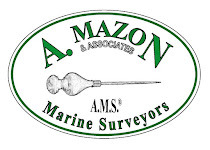 We love the Seattle area sailors coming out for Oregon Offshore each year! 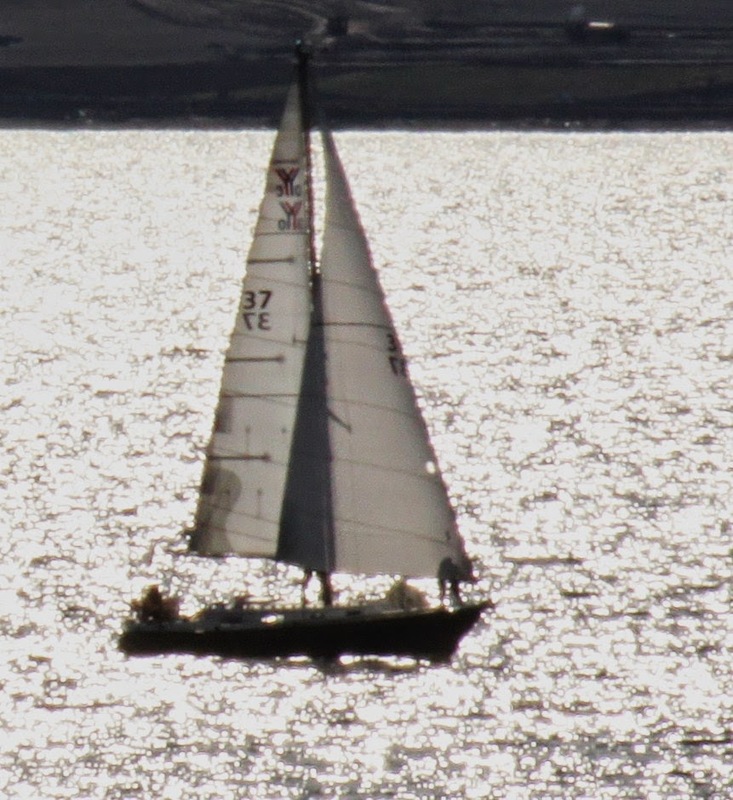 BLADE RUNNER, the Santa Cruz 27 out of Bellingham, WA and skippered by Ward Naviaux & crew was the TOP PHRF CORRECTED TIME FINISHER at 15 hours, 17 minutes & 31 seconds. They won this race... smallest boat wins the whole enchilada; sort of amazing. Great job BLADE RUNNER! 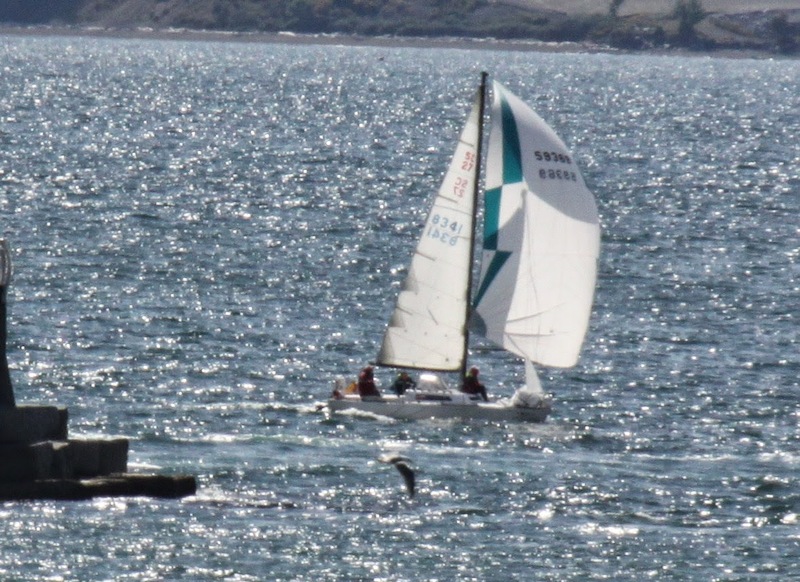 FREE BOWL OF SOUP, the J/105 from Portland and winner of PHRF Class B, had a corrected time of 15 hours, 33 minutes and 53 seconds. KOKOPELLI, another Santa Cruz 27 skippered by Eric Collins of Portland, had the 3rd best corrected time. She didn't register on the tracker for much of the race, but her corrected time was 15 hours, 37 minutes and 24 seconds. When the breeze holds, smaller boats often have an advantage on corrected time, frustrating for some bigger boats at times but inevitable under the handicapped rating system. These were the only 3 boats in the race with corrected times under 16 hours, and clearly earned their victories. Soup missed the record elapsed time by just under two hours, and Blade Runner finished in just a little under one day with Koko just about 20 minutes behind. Free Bowl of Soup corrected over Kokopelli by just about 3 and 1/2 minutes... over 193 miles! Blade Runner corrected out by about 15 minutes over the Soup; close racing! Two lessons learned here; fast IS fun, and there is such a thing as a Soup sandwich! Okay, I said I'd cover just the top three, but 4-10 deserve honorable mention too! 4th Overall on Corrected Time was California Girl, the Cal 40 sailed by Timm & Victoria Lessley. I love these boats! They also took top honors in PHRF Class C. Timm & Victoria made it into Victoria in less than 1 day, finishing in about 23 & 1/2 hours. 6th, 7th & 8th places Overall go to A Fleet winners Time Bandit, Riva & Anam Cara respectively. These guys had tight racing all the way up the track and finished early in the a.m., so I missed some crucial coverage at the finish. None of these veteran boats has ever finished this course as fast as this year's race. Great job A Fleet! 9th Overall goes to Neptune's Car, a race veteran who almost found top gear, and one of the most venerable challengers in the competition. ICON doesn't have a PHRF rating apparently (really, ICON?) but I'll give them an honorary unofficial top ten because they smoked the elapsed time record, with Passepartout the officially recorded 10th place overall PHRF winner. Great job again to ALL competitors in this year's race. Here's another GREAT video from Oregon Offshore! Free Bowl of Soup 2014 Oregon Offshore Teaser from Shortcake Photography on Vimeo. Thanks to the crew aboard the 2nd OVERALL ON CORRECTED TIME PHRF FINISHER Free Bowl of Soup. These videos show just how "chunky" the seas were as the fleet pushed North on a southerly breeze. Reportedly, there is more video footage to follow from the guys on the J/105 Free Bowl of Soup. Owners Doug Schenk, Eric Hopper & Matt Davis and crew from Portland deserve huge kudos for winning PHRF B fleet by more than 4 & 1/2 hours over the next competitor in their class, and ALMOST breaking the course record as well. Great job guys, way to represent the local J fleet! Great creativity on the camera angles, btw. Do you have an interesting story, picture, onboard or shoreside video from this year's 38th Annual CYC Oregon Offshore? If so, please send it to us at race.captain@cycportland.org and we'll try to post it on the site. 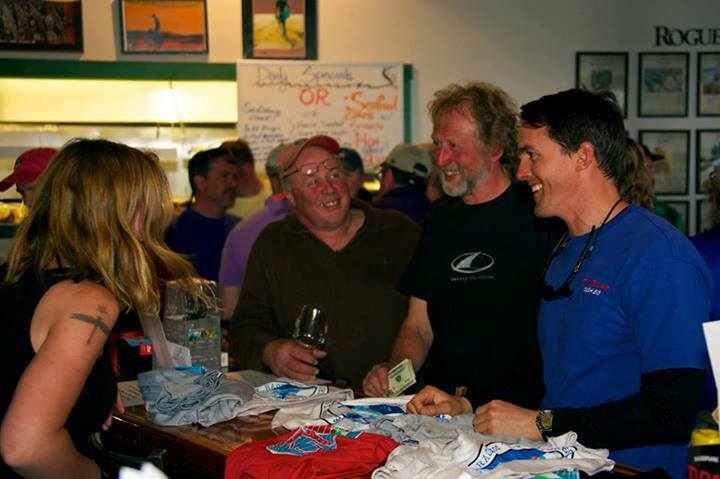 Thanks again to everyone, let's start sharing and re-telling those great stories from the 2014 CYC Oregon Offshore sailing race! I can't say enough about Icon's record setting performance in this year's CYC 38th Annual Oregon Offshore sailing race, so I'll let their onboard video tell the story. Ha ha, that's less than 5 minutes of the race. Check out the Deception Island jacuzzi at 4:09. That smile on the grinder's face says it all! Think THEY'RE having fun?!? I wish I could see the boat speed reading at 5:01 in the video; they're smokin'! Quality operation, Icon. Click here for their website. Click here for a great write-up from pressure-drop.us on Icon's voyage. Thanks again to GoPro for being a gold sponsor of this year's race and for continuing to develop the onboard video technology that provides all of this cool footage! The shuttles to the barbecue tomorrow at Royal Victoria Yacht Club will run from the Inner Harbour at 10:30am and 11:15am, and will leave RVYC for the return to the marina at 1pm and 1:45pm, so folks can make the 4pm ferry. Here are the winners of each class. Complete results will be posted soon. Race central has been abandoned due to the excellent sailing of this years offshore fleet. This 3rd floor room with two queen beds can be claimed by contacting the Surf Motel at 290 Dallas Road, Victoria 250-386--3305. Cheers! 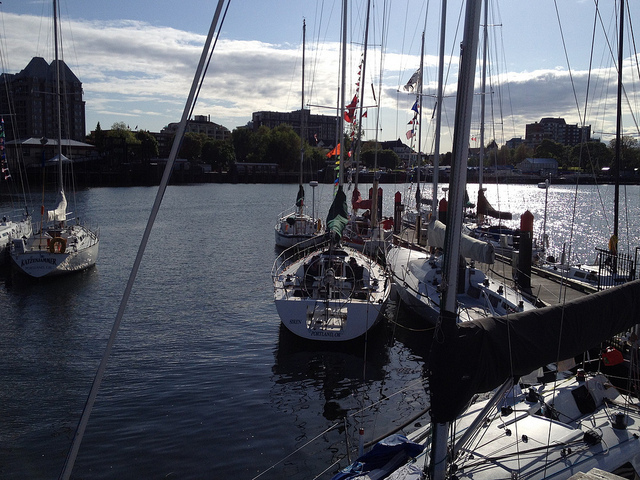 28 Boats finished the race and are safely moored in Victoria. All 2014 Oregon Offshore entrants are present and accounted for. Thanks again to all for what was truly an amazing race. Souffle is our one "cruising class" entry and could not use a spinnaker. she is our last boat to finish at 2:02:20 Saturday morning. Having all boats finished within 41 hours and 52 minutes may also be a new Offshore record along with Icon finishing in 15 hours and 6 minutes. To all skippers & crew good race and enjoy your extra day in Victoria! Souffle: 1300 Hours Position Update - Finish Line Alert! Winds are WSW, blowing 12 knots at Race Rocks as of midnight. Where Can You Find a Souffle at Midnight in Canada? 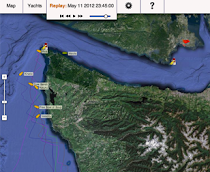 Souffle's midnight position puts her at Race Rocks, within 11 miles of the finish line of the Oregon Offshore at Victoria Harbour. At this pace (5.8 knots boat speed), Souffle is predicted to finish between 1:45 and 2 a.m. on Saturday, 5/10/2014. We'll see if she can hold her speed through the early morning. It's a straight shot from Souffle's current position to the finish line in the 38th annual 2014 Oregon Offshore sailing race! Update at 12:11 a.m.: Souffle is making a wide turn according to her midnight position... or heading southeasterly?! She may be heading to an alternate destination given that Souffle IS the only entry in the cruising division. Souffle is less than 20 miles from the finish line now, getting closer to Race Rocks, and on track for a midnight rounding. Souffle is currently registering 4+ knots of boat speed in 10-11 knots of westerly wind. It's time for the Souffle, we've already finished the Soup! Souffle has reported her position as of 9:50 pm just south and abeam of Sooke Harbor, making a steady 4.5 knots in a southeasterly direction towards Race Rocks and the turn towards the finish. They're going a little faster, must be at least a little anxious to get to Victoria after two full days at sea. Winds are reportedly westerly at 6-10 knots. As Souffle heads towards the finish line to close the door on the 2014 Oregon Offshore sailing race, the Corinthian Yacht Club of Portland would like to extend thanks again to all of the participants, and congratulate everyone on a fantastic race this year in the 38th running of the CYC Oregon Offshore. Starting in good ol' Oregon "Liquid Sunshine" and 20-25 knot southerlies, the wind built steadily on day one to over 30 knots of true breeze, swinging around to a stiff westerly direction conveniently as the majority of the fleet hit the turn at Cape Flattery. 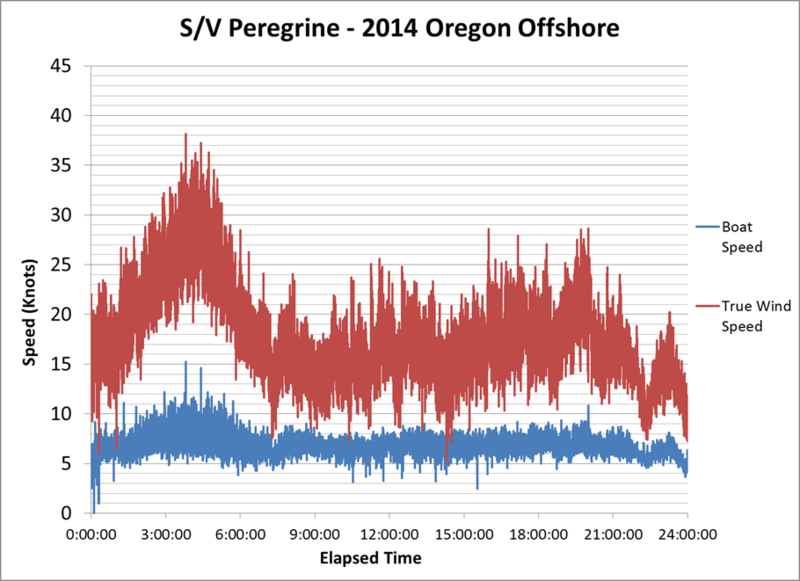 If there ever was a "perfect storm" for the Oregon Offshore, this was it. We at CYC are most appreciative of the professionalism, preparation, tenacity and true grit of all the participants in this year's race, they successfully challenged their boats, skills and nerves in the most grueling Oregon Offshore in many years, maybe ever in the 38 year history. Congratulations again to all racers and remember; it's never too early to start planning for next year's race! What? It is too early? ...Ok, got it! Kevin Welch’s 65′ Custom Bob Perry carbon fiber sled "Icon"crossed the finished line at 23:06:20 on Thursday, May 8th 2014 giving her an unofficial elapsed time of 14:56:20 – beating the 2000 record set by Steve Rander's "Rage" by 4:50:21. Also beating the record were the Santa Cruz 70 "Neptune’s Car", which crossed at 23:13:20, and the Fox 40 "Ocelot" which crossed at 23:29:32. As previously noted, ETA for sailing vessel Souffle, the Cal 34 owned by Phil Lewis of Portland, is now midnight at Race Rocks; rumor has it they are traveling in style... the perfect finish for a great race! Winds have abated to WSW at 10-15 knots. 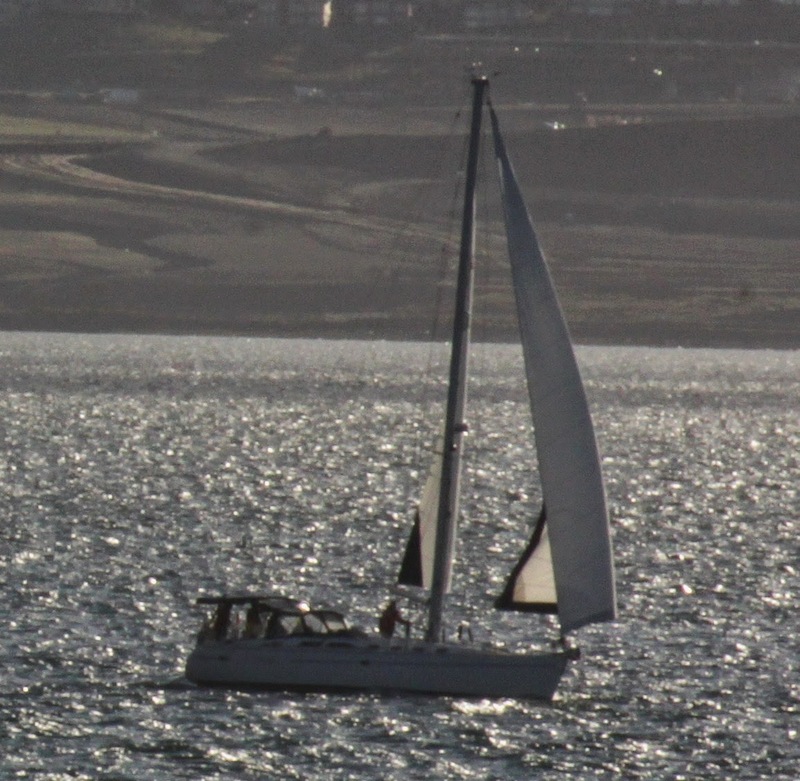 Boat speeds on Souffle are currently reporting at between 3.5 and 4 knots. Souffle has reset their transponder and is back transmitting their position. Their estimated time of arrival at race rocks is midnight tonight. It's better to finish a Souffle at night than to let it fall! Thankfully, everyone on board is safe. Sol Pacifico and Wave Dancer had a race to the finish with Sol Pacifico finishing at 18:55:02 and Wave Dancer finishing just 31 seconds behind at 18:55:33. Cruising Class Update - You are NEVER Losin' When You're Cruisin'; Souffle is Back on the Board! Souffle has had a position update! Just in time, momma was gettin' a little worried... the Souffle crew are located just Southwest of Point No Point on the Canada side of the Strait, heading towards Race Rocks at 2.7 knots of boat speed and riding the flood tide to the finish. Never finish a Souffle in the dark I always say... looks like the last two boats with known positions - Sol Pacifico & Wave Dancer are nearing the finish. It's totally appropriate to finish the race of with a nice Souffle, hopefully before sunset. The pace has slowed slightly with winds Westerly at 15 knots heading towards the finish line; flood tide should help finish the remaining boats. Shamrock and Aja appear to have finished the race, Wave Dancer has taken the inside track at Race Rocks and is heading towards the finish. Sol Pacifico should finish shortly...unsure the location of Souffle, position tracker not reporting. Aja and Shamrock crossed the finish line at 17:11:05 and 17:21:00. Wind are reported westerly at Race rocks at 17 knots. Hot on the heels of Katzenjammer, D Fleet should be a close race all the way to the finish line. Aja currently appears to have a slight lead over Shamrock, with less than 5 miles to go. Sol Pacifico is rounding outside of Race Rocks and making the Northerly turn towards Victoria; it won't be long now and the 2014 Oregon Offshore will conclude for PHRF D fleet... a race to remember for sure. Katzenjammer should be finishing before 5 pm, watch for the great finish photo soon! Aja appears to have passed outside of Shamrock to take a slight lead streaking towards the finish. They will finish shortly behind Katzenjammer at this pace... should be a great time to be standing at the Lightship to watch the finish. Sol Pacifico is nearing Race Rocks, soon to make the turn towards the finish line with Wave Dancer not far behind. 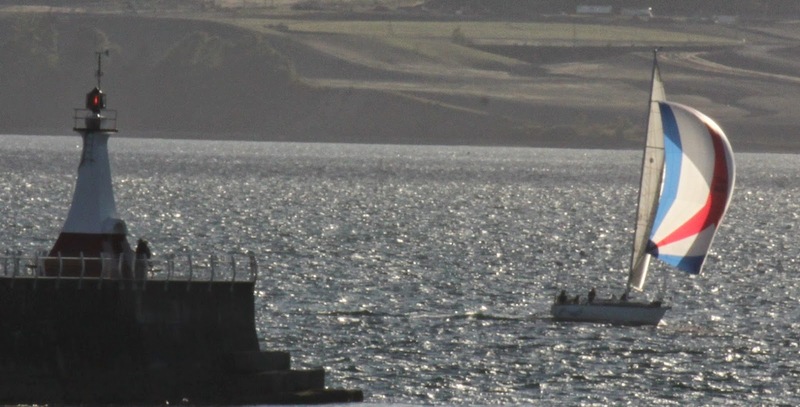 Souffle is the only other remaining boat on the course, their position is anyone's guess. Kaos crossed the finish line at 16:02:40. Winds are reported westerly at Race Rocks, blowing 20 knots. The next boat to finish should be Kaos, the final SC 27. Katzenjammer, following the track of the SC 27 Kaos, has taken the lead on an inside route at Race Rocks. Aja appears to be taking the outside route, with Shamrock going down a middle track; all boats are at the turn and it should be an exciting finish for this hard fought PHRF D fleet battle... where you buck the tide at the turn could make the difference in the race. SolPacifico, the Catalina 470 out of Seattle sailed by Randall Barnes and crew, is close behind the three lead D fleet PHRF boats and is now past the entrance to Sooke Harbour. Shouldn't be long now before all of D fleet is at the dock in Victoria. D Fleet Dominance - Who Will Reach Race Rocks First? The Santa Cruz 27 Kaos is taking the turn tight; they're just off of Bentinck Island now, making way towards the finish in fine fashion at 7.8 knots per last report. Shouldn't be long before they get a well deserved hot shower. D Fleet Update - Battle In the Strait... Room At The Mark? Gary Bruner's Yankee 30 Shamrock and Jim Calnon's C & C 34 Katzenjammer are virtually tied heading towards Race Rocks at identical speeds of 5.3 knots, with Katzenjammer still on the northernmost track. That's not the news in PHRF D fleet however; Aja, the Ericson 35 skippered by Rich Elstrom, appears to have taken the lead over both Shamrock AND Katzenjammer, making progress at 5.9 knots boat speed towards the Race Rocks turn as of last report. Kaos, the final Santa Cruz 27 to finish, has been reported at race rocks. The Santa Cruz 27 Kaos, sailed by Jim Parker and crew from Seattle, are streaking towards Race Rocks now at a healthy 6.5 knots. Kaos has pulled ahead of the D fleet pack, and should reach Race Rocks in the next hour or two at their current pace. This has been a particularly arduos race for all boats, but the three SC 27's have made a strong statement, all finishing (or nearly finishing) the race under very difficult conditions. Kudos to the SC 27 Fleet; Fast IS Fun! WyEast crossed the finish line at 14:11:20. The Cascade 36 Wyeast has not updated it's position tracker since 12:12 this afternoon. 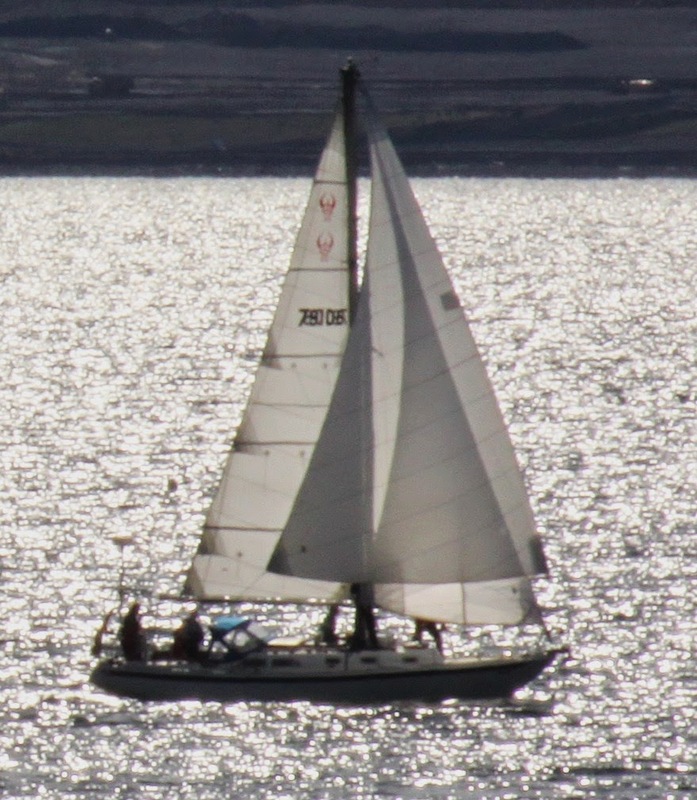 Various reports put her at Race Rocks at around 11 am and again around 12:45 pm. There is one stalwart participant representing the cruising class in this year's Oregon Offshore, the Cal 34 "Souffle" sailed by Phil Lewis and crew out of Rose City YC in Portland. Last updated position for Souffle was just after 8 am this morning, but they have to be closer to the finish by now. As soon as an updated position is available, we'll post the news. As previously posted, Katzenjammer has been sailing the most northerly course in D fleet down the strait; that strategy may now be paying off. Whoever gets to Race Rocks first is anyone's guess at this point, then there's plenty of course left to the finish. The SC 27 has moved out in the lead of the pack, with Wave Dancer not far behind the boats in D fleet.